The shoulder knot was worn on the Light Artillery (Field Artillery) officer's special undress jacket in place of shoulder straps. 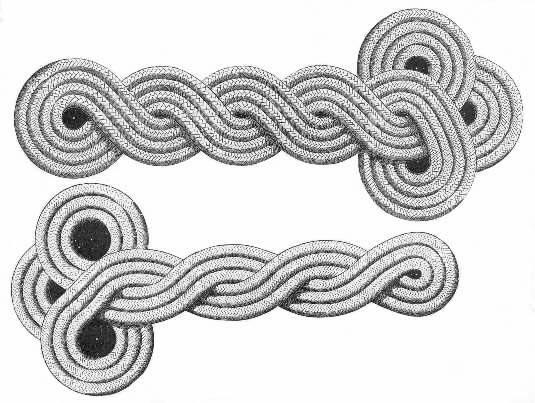 Period photographs do show these knots being worn in the field. It appears that many artillery officers wore shoulder straps. Artillery shoulder straps are not common as artifacts, but shoulder knots are rare. Heavy Artillery (Fortress Artillery) officers should not wear shoulder knots; however, there is some evidence that they might have. Epaulettes were worn on the dress uniform by both classes of artillery officers.